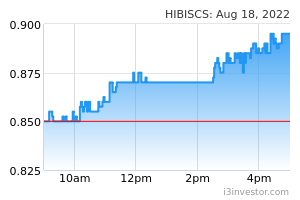 Hibiscus Petroleum was testing the RM1.07 level in its latest session. With a healthy RSI level, a bullish bias may be present above this mark with a target price of RM1.11, followed by RM1.19. 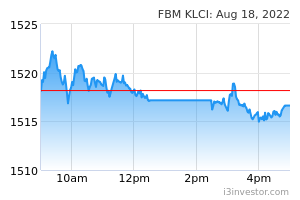 Meanwhile, it may continue moving sideways if it fails to cross the RM1.07 mark in the near term. In this case, the immediate support is anticipated at RM1.00, whereby traders may exit on a breach to avoid the risk of a further correction.